414 Construction Ltd - Builder, Carpenter based in Walton on the Hill, Surrey. 414 Construction is based in Walton on the Hill, Surrey. 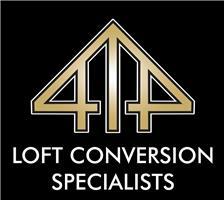 We convert lofts, extend houses and provide an extensive range of carpentry services. We employ a professional workforce who are registered and regulated to carry out all of the services that we offer. We offer comprehensive project guarantees along with excellent customer service. If you would like more information regarding the services that we have to offer then please feel free to browse through our website. Alternatively if you would like to discuss your requirements with us then please feel free to contact us via the numbers below. Timber frame and Roof construction.